Rather than integrate the brakes into the bindings, Atomic decided to make it easy on you. 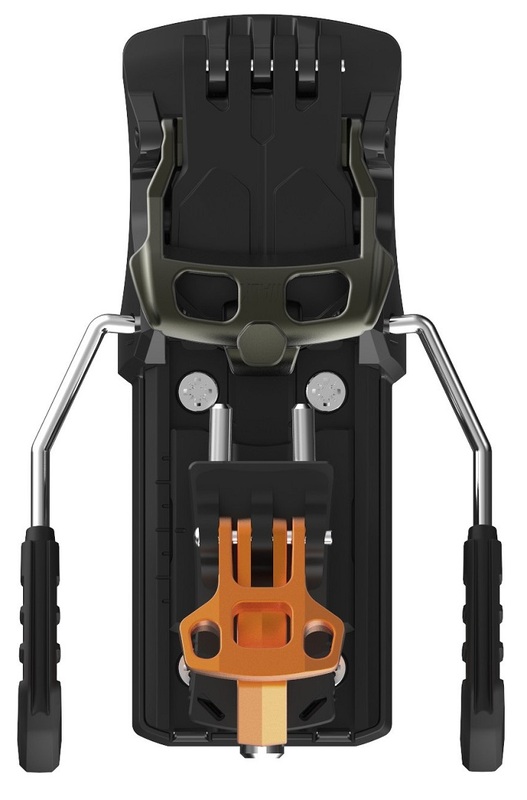 Manufactured in five different sizes as a modular accessory to the Backland Tour binding, the brakes sit directly underneath the baseplate of the heel piece. This affords a lot of flexibility for weight savings (remove the brake) or ski width changes (replace the brake). One large lever is thrown to retract or deploy the brakes, a motion that can be accomplished without stepping out of the binding. Available in 80mm, 90mm, 100mm, 110mm, and 120mm widths. Sold in pairs with no heel unit. The price listed is for a pair (2 brakes shipped). These are the same brakes for the Salomon MTN binding. 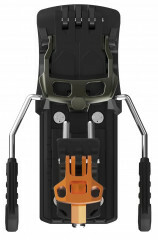 Can you add/remove the brake without taking the heel piece off the ski like you could with the Dynafit Verticals? Hi MAD, these brakes are mounted under the heel pieces, and in fact require an additional drill hole. They are not designed to be removable once mounted. Hi Marcus, you bet! They are the exact same brakes. Any idea when you might have the 100mm brakes back in stock? Hey Austin! Atomic usually shows up fairly early and we should be seeing some around the end of August/mid-September? I have about as much control over when they show up as I do the snowpack, so don't hold too closely to that statement, but last I heard they weren't too far away. Hi Austin, we just got more in! Hi -- I just purchased an atomic backland ski with the backland binding - it is set up for a leash system -- is it possible to retro fit a brake ? -- if so, it's a 78 waisted ski, which brake should I purchase ? Hi Pete, yes it's possible! You needed to remount the heel pieces with the brakes underneath, drilling one more hole to secure them. You definitely want the 80mm brakes for a 78. Hey Al! Standard advice in the industry would be to point you towards the 100mm brakes. Are you measuring them when they're deployed or retracted? That'll make a big difference in terms of clearance. Most brakes build in a few millimeters of wiggle room so you could theoretically get away with a 90mm brake on a 95mm ski, though with these ones the 90mm is definitely a proper 90mm brake. For Navis Freebirds (102mm), should I get 100mm brakes or 110mm? Is it a good idea to quiver killer the heel piece so I can put on the brakes when needed and take them off when needed? How easy is it to put the brakes on and off if I do that? Can I use the same length quiver killer machine screws if I end up doing that? Hey Manan! Standard procedure is pointing you towards the 110mm, though if you want to potentially bend them you could get away with a 100mm. Quiver killers could be sweet in this instance, but I think it depends on how often you'll be swapping brakes for brakeless. Same machine screws for brakes and brakeless though! I assume 59.95 is per unit, not pair. Yes? Any chance of getting sizing larger than 100mm? Hi Joe, that's for a pair. Unfortunately were out of the larger widths.